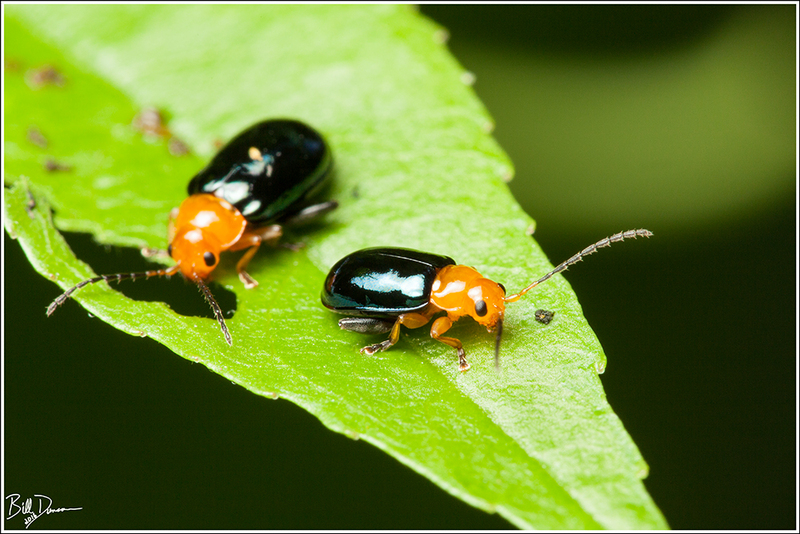 While investigating a patch of Maypop (Passiflora incarnata) I could not find my goal of the Passion Flower Flea Beetle, but I was still happy to find a number of Shiny Flea Beetles – Chrysomelidae – Asphaera lustrans. 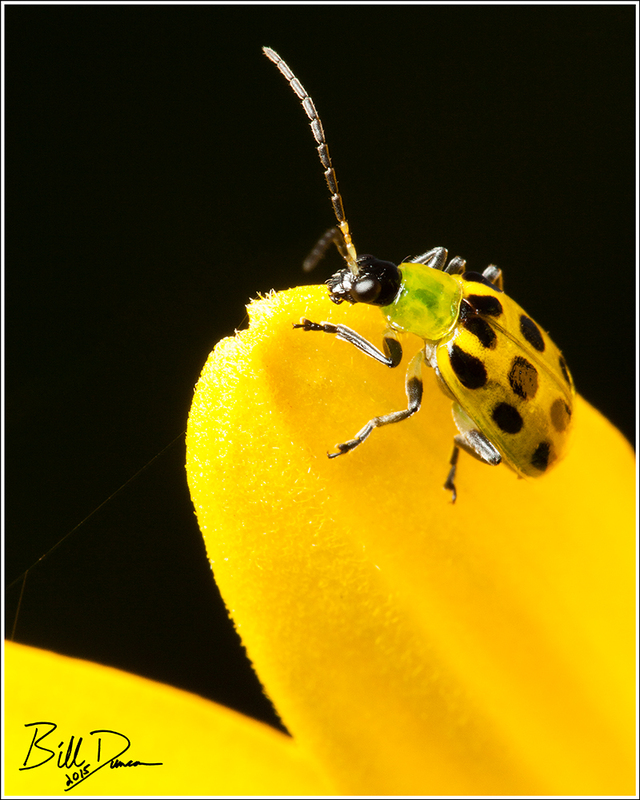 The Redbud Bruchid (Gibbobruchis mimus), as its name suggests, is one of those perfect examples of insect-plant specialization. 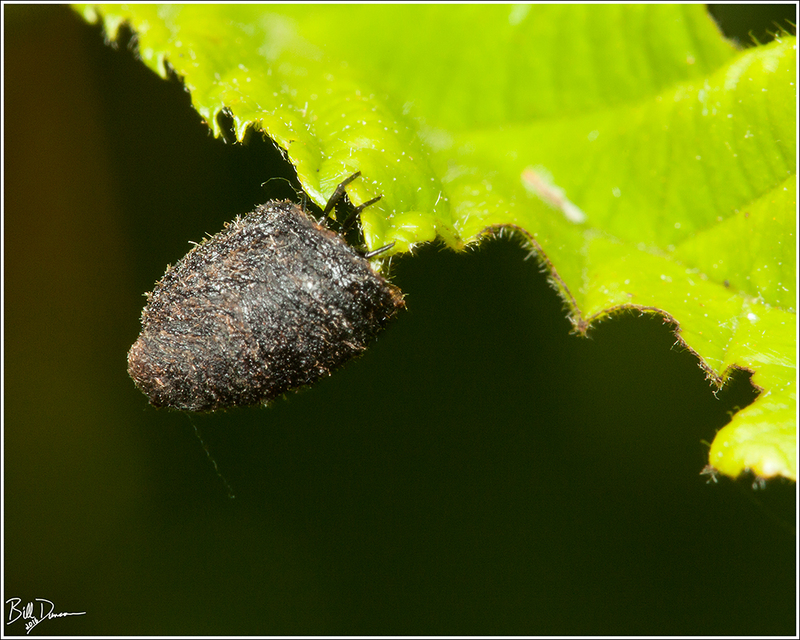 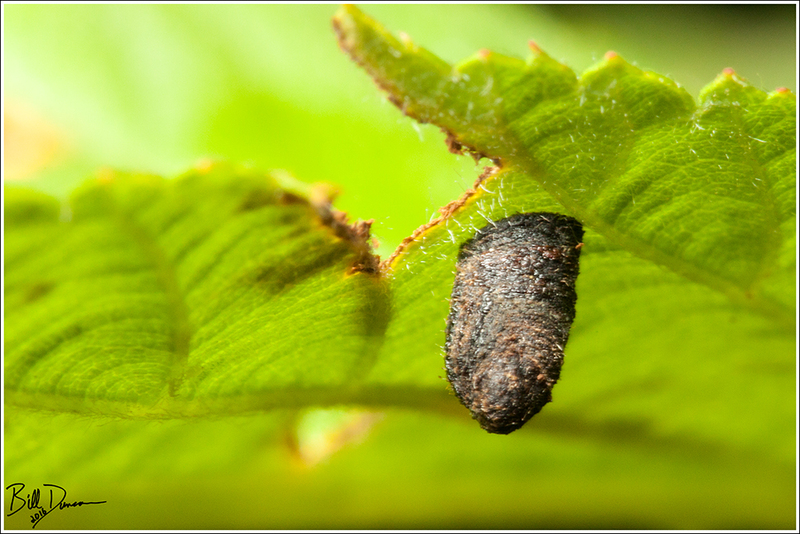 The larvae of this species will only grow on the seeds of Redbud trees and perhaps on those of a relative or two. 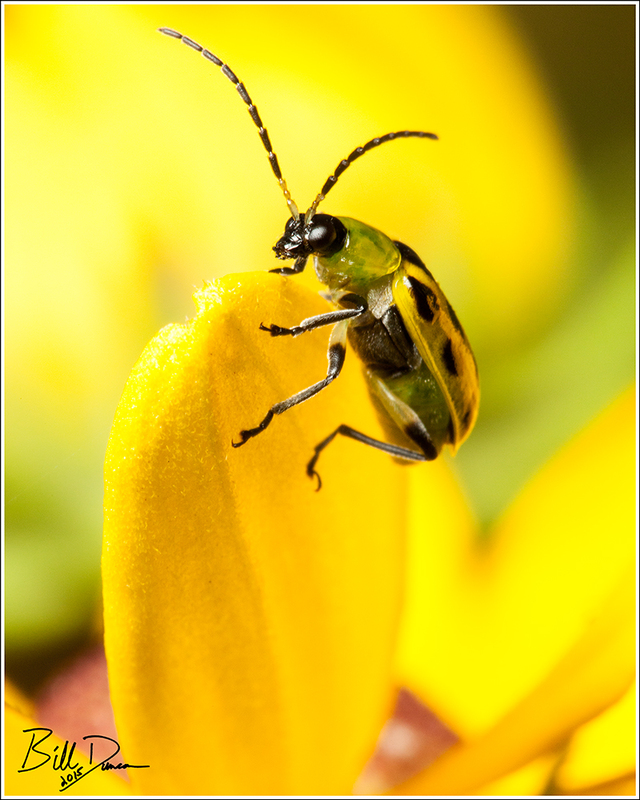 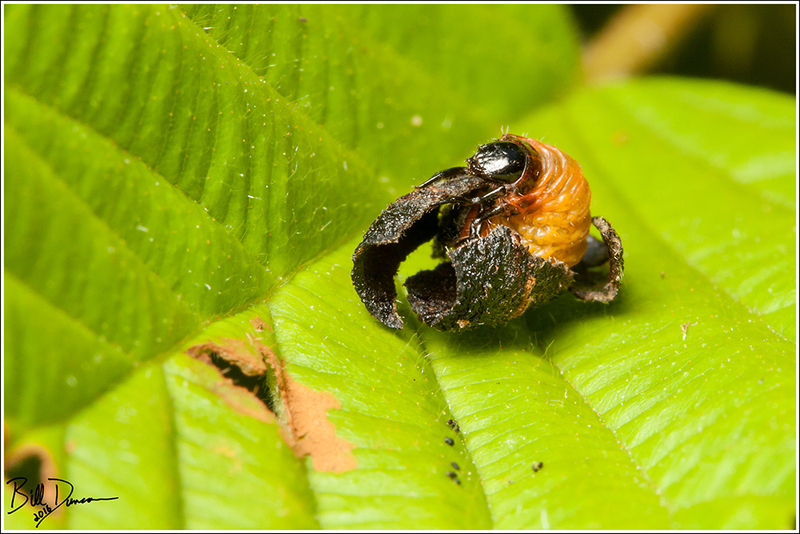 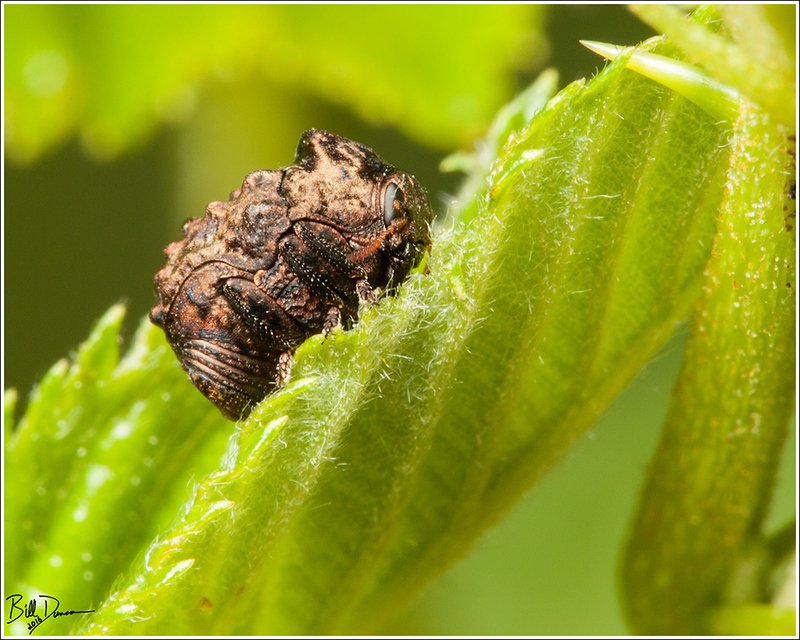 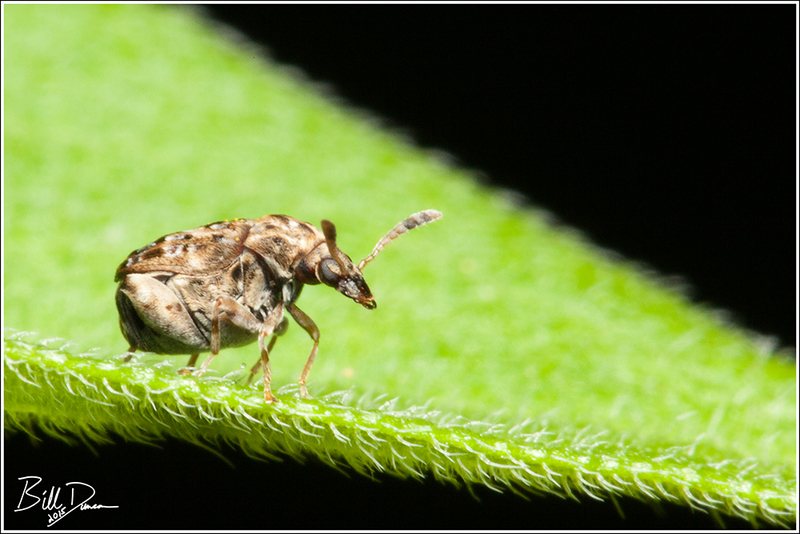 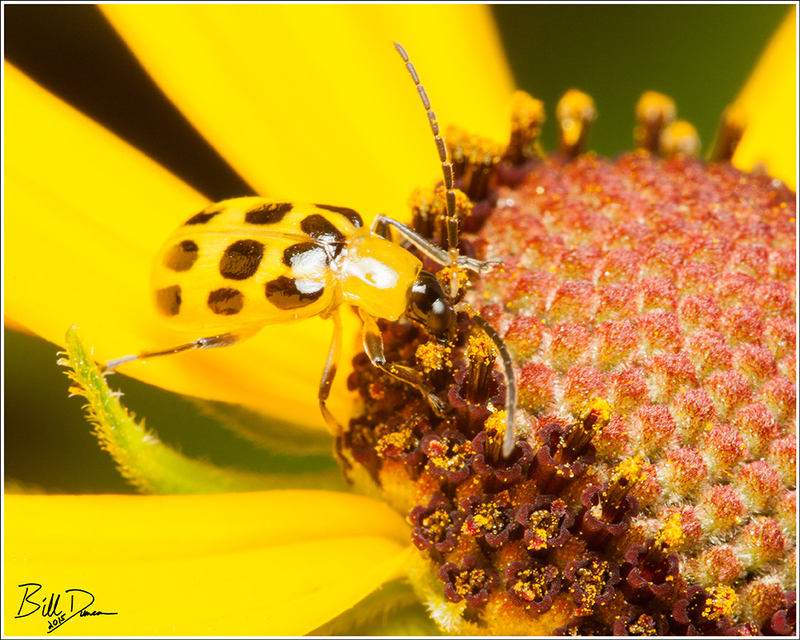 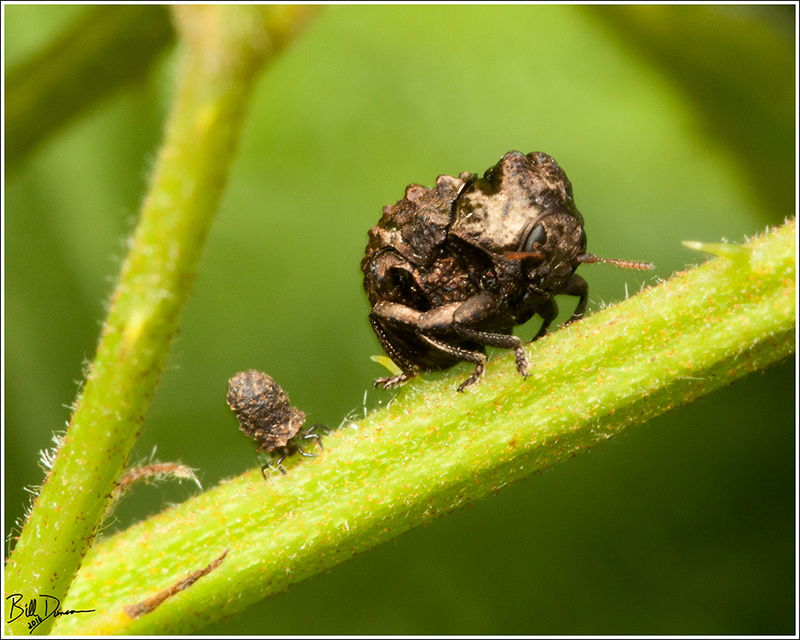 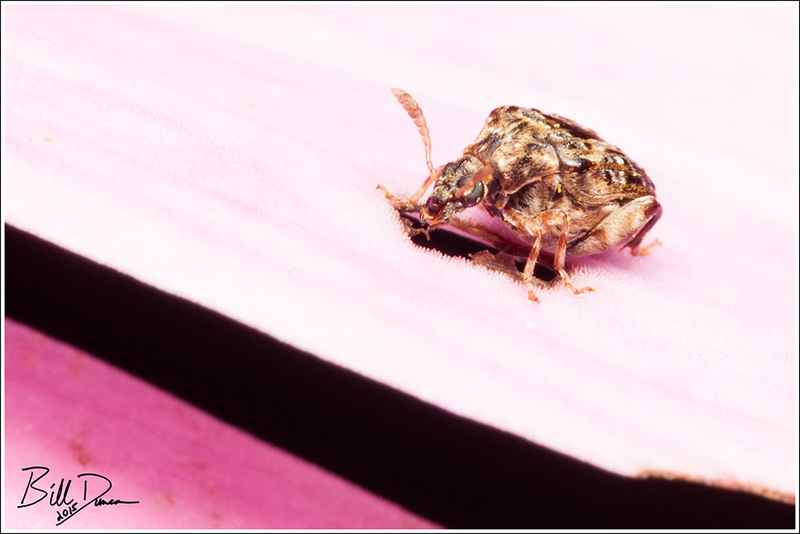 Being extremely small (2.5 – 3 mm), these cute guys are quite the challenge to photograph. 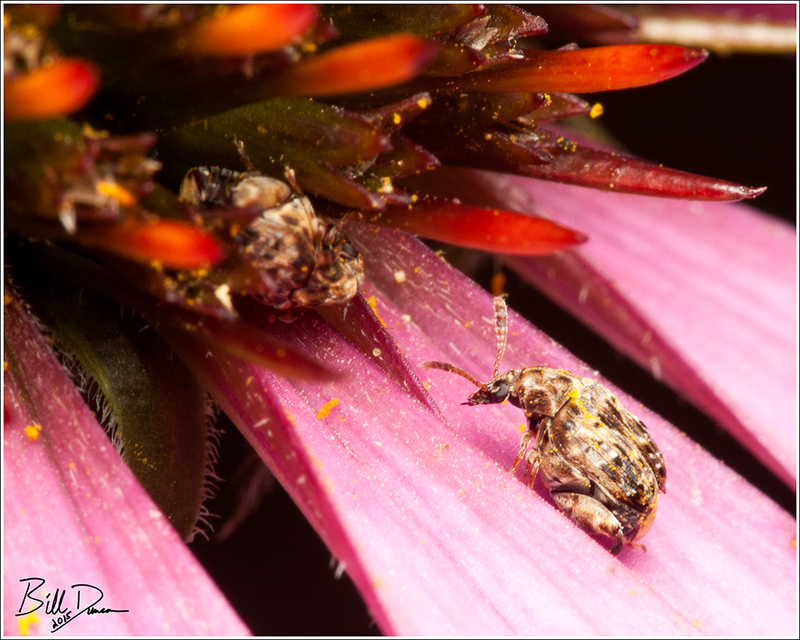 Adults feed on plant tissues (flower petals, pollen, nectar, etc…) and I typically have seen them feeding on my Echinacea flowers. 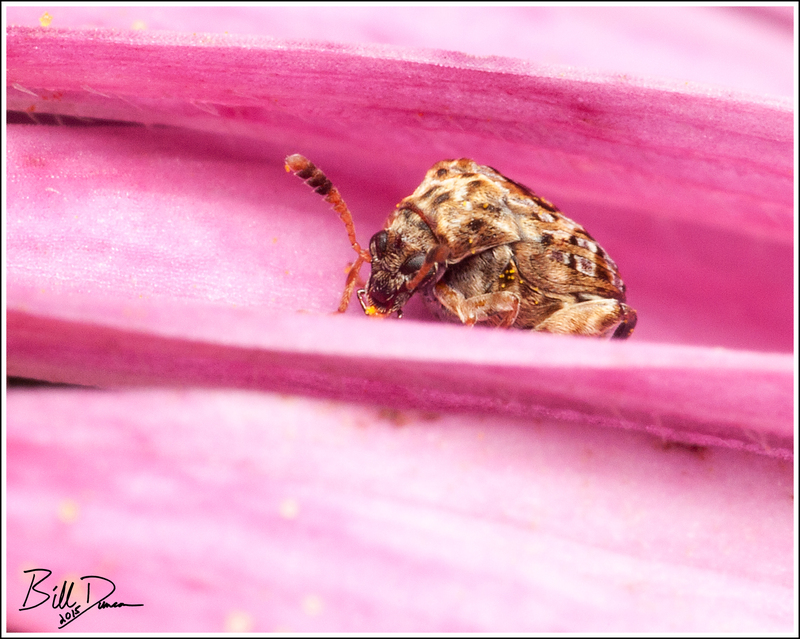 The guy above can be seen creating or adding to a hole in a flower petal. 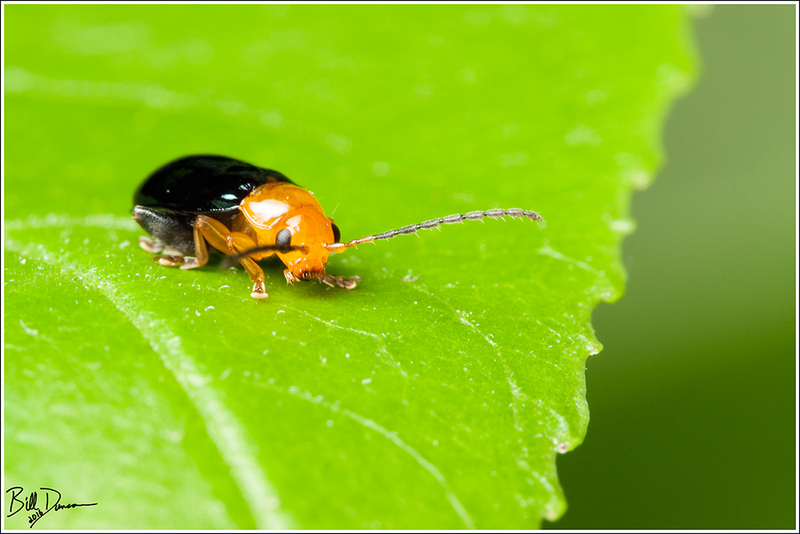 I much prefer them to the exotic invasive Japanese Beetles that tend to leave nothing behind. 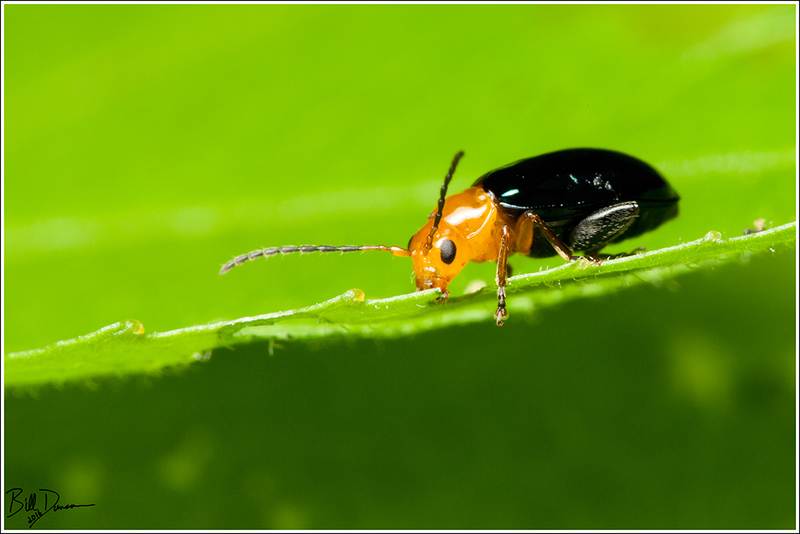 The Bruchids are a subfamily or “tribe” found within the quite large family – the Chrysomelidae, known as “Leaf Beetles”. 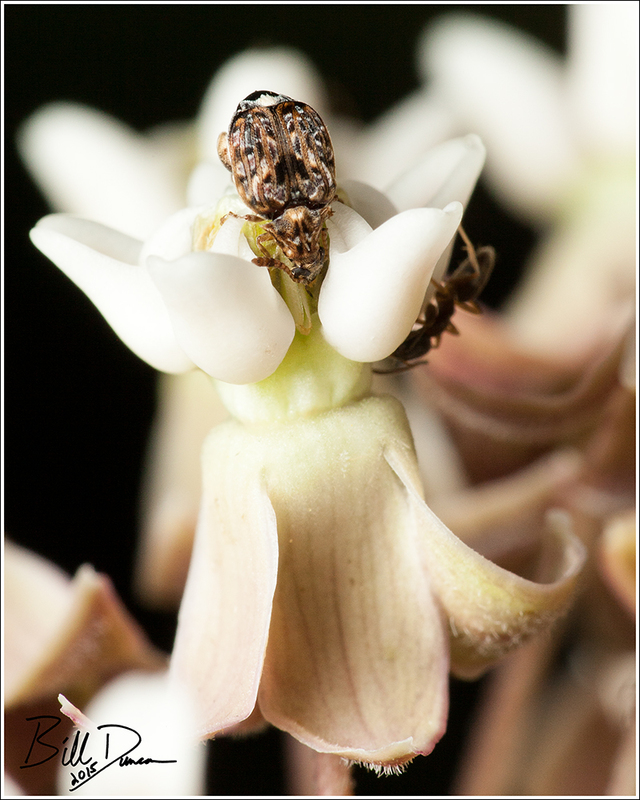 If you know the size of an individual blossom of the Common Milkweed (Asclepias syriaca), the image above will give you a good idea on just how small these little guys are.